Coal famine tops the news. 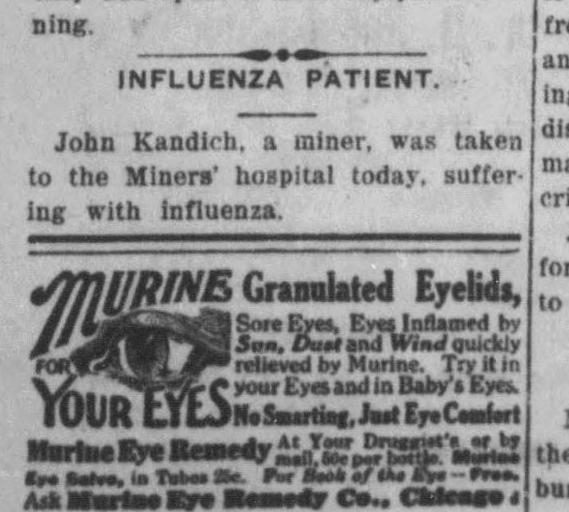 John Kandich, a miner is reported hospitalized by influenza in a remote silver mining town. Tonopah, Nevada some 200 miles from both Reno and Las Vegas, had concerns that enemy aliens were stealing powder from their mines. From Washington, DC the newspaper reports that the first woman representative (Jeanette Rankin, R-Montana) has introduced a bills recognizing Irish independence, and equal pay for women. Source: "Influenza Patient," Tonopah Daily Bonanza, Tonopah, Nevada, January 5, 1918. Page 4, Column 1.